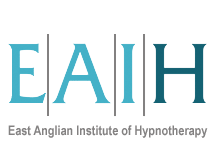 The Hypnotherapy Practitioner Diploma integrates Hypnotherapy, Counselling, Coaching, NLP and Thought Field Therapy in one course and accredited by The General Hypnotherapy Standards Council. A springboard to a new career or as an addition to your existing therapy skill set. This course is run as one weekend a month over 10 consecutive months. This training is about quality not quantity so the trainers only come together to run this course once a year.